5th Grade Students & Parents! Select BAND as your #1 or #2 elective choice on schedule signup. "How Playing an Instrument Benefits your BRAIN!" Do I need prior musical experience to be in band? No! You will learn everything you need to know for band in band class. Any prior musical experience will be helpful, but not necessary. Who will be in the band at McKamy? You and your friends will be joining one of the largest organizations on campus. Band students also participate in football, volleyball, basketball, tennis, robotics, NJHS, and much more! 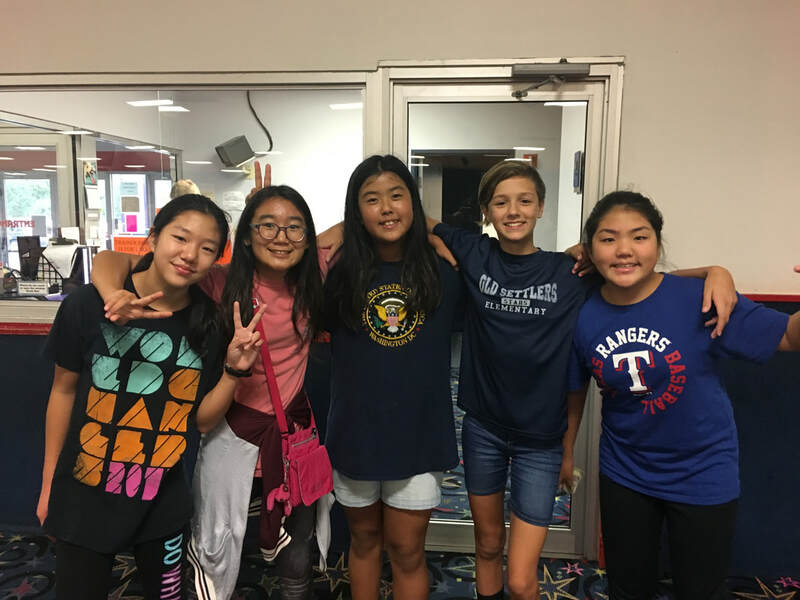 Many of our students are the school leaders and among the most successful students at McKamy! 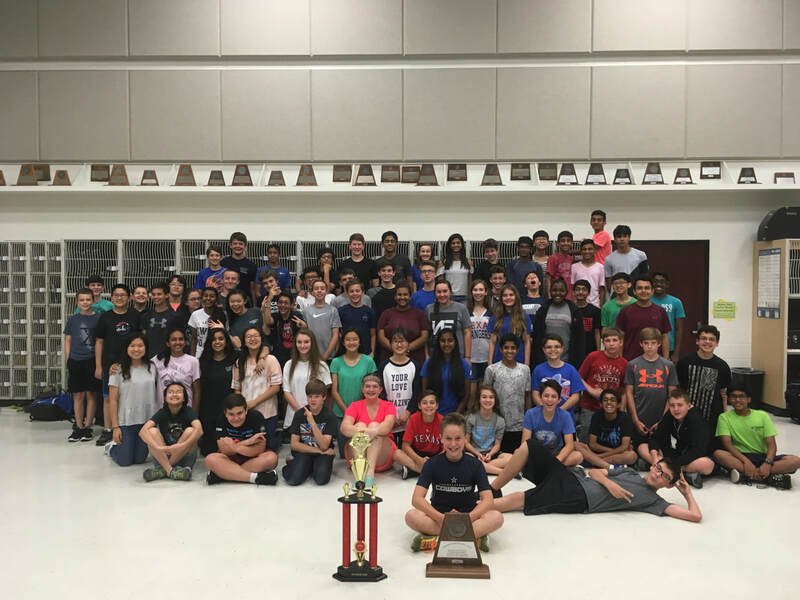 Is it possible to be in Band, LEAP, and Pre-AP classes? YES! Band creates habits of excellence that carry over to academics. The 2012 FMHS Valedictorian was a McKamy graduate, member of the FMHS Band all four years and was a Texas All-State Flutist! The 2016 Salutatorian was a McKamy graduate, and a member of the FMHS Band all four years! What fun things will we do in band? The best reward is learning to play an instrument and make music! You will experience many parties, trips, concerts, contests & performances throughout the year! Asthma? Braces? Is it possible? ABSOLUTELY! 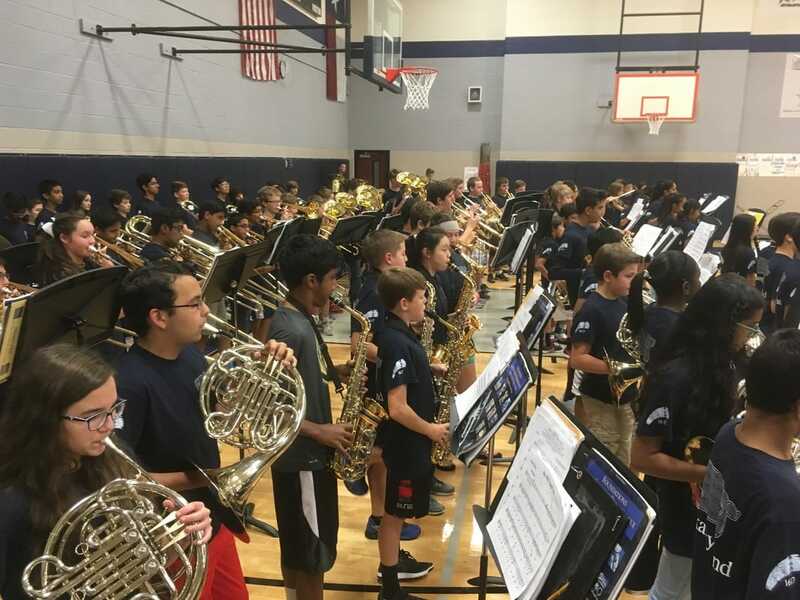 There are good instrument options for every student who wants to be in band. We have many students that have braces and/or asthma. Playing a wind instrument can actually be beneficial for those with asthma as it helps strengthen the lungs. The flute is the smallest of the beginner instruments. It is a very popular selection each year, but only a small portion of those wishing to play flute will be selected. Flute players should have a slight “frown” to the upper lip with NO tear drop shape in the middle. Flute tones are produced by being able to focus an extremely small air-stream to an exact location on the tone hole. The tear-drop-shaped lip will make it difficult to direct the air so precisely. Flute players should also have agile fingers for moving this multi-keyed instrument through a fast musical passage. Students with extreme overbites (receded jaw) should avoid choosing flute as this makes it difficult to produce quality sounds. Students with double-jointed fingers should avoid selecting flute as double-jointed fingers can cause lack of agility in the fingers. players is EXTREMELY limited. VERY few will actually be selected for oboe. Students with profound overbites or underbites would have EXTREME difficulties producing good sounds on the oboe since the embouchure (mouth position) requires equal pressure on both sides of the reed at the same placement. selected) to play oboe are STRONGLY ENCOURAGED to take weekly private lessons with the applied lesson teacher at McKamy. Private lessons cost $20.00 per week and scholarships are available based on financial need and demonstration of diligent work ethic. Students are required to maintain a supply of 3-4 high-quality reeds at ALL times. Students with a history of disciplinary trouble will NOT be considered for oboe.The financial trade-off for having to take lessons and keep a stock of working reeds is that McKamy provides oboes for students at a cost of $100 rental for an entire school year payable to LISD for routine maintenance. Lessons for this instrument are Strongly Encouraged due to the complexity of the instrument. Unlike the oboe, the clarinet uses a “single reed” and a mouthpiece to produce the sound. Willingness to purchase or rent a director-recommended clarinet is a MUST! craftsmanship will make it next to impossible for your student to succeed. We can help you avoid that pitfall. One necessity of clarinet tone production is the ability to make the chin flat. Orthodontia is okay, but if a student has an extremely rounded bottom row of teeth, the mouthpiece will be hard to place in the proper position for tone production. Instruction in clarinet can be meticulous. Students who are able to focus on and perform a detailed series of instructions could do well on clarinet. Students who have difficulty remembering a series of instructions should avoid playing clarinet. Clarinet players are also responsible for maintaining a working stock of 4-6 quality reeds. will not play oboe before switching, instead they will begin on the bassoon itself. 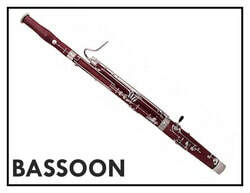 VERY few students will be selected to play Bassoon. A slight overbite is okay for students wishing to play bassoon, however, a student with an underbite should avoid bassoon. Agile thumbs is a necessity for playing bassoon proficiently as well as a medium or greater hand span. Like the oboe, the bassoon is such a difficult instrument to master, only students with high academic performance records will be considered. Students who choose (and are selected) to play bassoon are Strongly Encouraged to take weekly private lessons with the applied lesson teacher at McKamy. Private lessons cost $20.00 per week and scholarships are available based on financial need and demonstration of diligent work ethic. Students are required to maintain a supply of 3-4 high-quality reeds at ALL times. Again, the financial trade-off for having to take lessons and keep a stock of working reeds is that McKamy provides bassoons for students at a cost of $100 rental for an entire school year payable to LISD for routine maintenance. Lessons for this instrument are Strongly Encouraged due to the complexity of the instrument. The alto saxophone gives the impression of being both a brass AND woodwind instrument, however it is indeed considered a woodwind instrument. 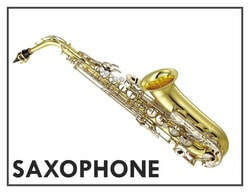 The alto saxophone (which uses a single reed like the clarinet) is a very popular instrument like flute and only a few students will be chosen to play it. 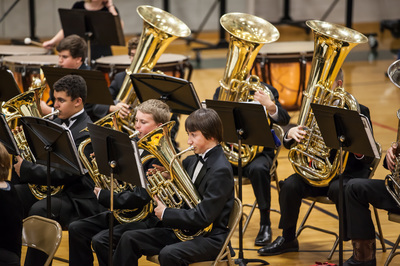 Since the balance of the saxophone is maintained by the use of a neck strap, it is extremely important that students be able to sit up completely straight when asked to. Saxophone players are responsible for maintaining a working stock of 4-6 quality reeds. Alto Saxophone students will have the opportunity after their first year of instruction to audition for Tenor Sax or Baritone Sax (based on their proven musical and behavioral abilities while in alto saxophone class). The cornet/trumpet is the smallest member of the brass family. The sound on cornet/ trumpet is produced by buzzing into a small mouthpiece. 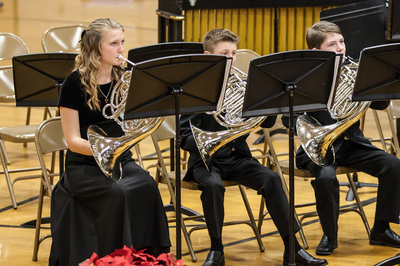 Students who choose and are selected to play cornet / trumpet will begin on a cornet (smaller in size) and “graduate” into a trumpet upon the completion of a battery of playing exams. While orthodontia is somewhat troublesome at first to a cornet / trumpet player, it is not impossible to make good sounds with braces. A slight overbite is okay, but an underbite can severely hinder progress on cornet/trumpet. Cornet /trumpet players come in all shapes and sizes. 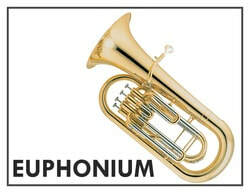 Cornet /trumpet parts usually have the melody (recognizable) part, therefore students who choose and are selected for cornet / trumpet should exhibit a confident demeanor, strong personality, and demonstrate a high level of self-motivation. produced by buzzing into a small mouthpiece similar to a trumpet. Only the top 10-12 scores will be selected to play French horn. 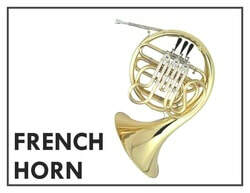 Students with good musical ears (such as Honor Choir students) should consider French Horn. keys are manipulated with the LEFT hand. While some might think that trombone players must have long arms, the truth is there are numerous accommodations that make it possible for students of all shapes and sizes to play. A slight overbite is acceptable, while an extreme underbite would hinder success. Trombone players should have slightly fuller lips than average. academicians have excelled at trombone. should have an above average lung capacity. entire school year, but students are required to purchase their own mouthpiece. switch over later in the fall semester. the edge of their chair or across the thighs. high gross and fine motor skills will be considered for percussion. Students should exhibit a great deal of coordination in gross and fine motor skills. The study of percussion includes bells, triangle, tambourine, maracas, claves, among many other instruments. 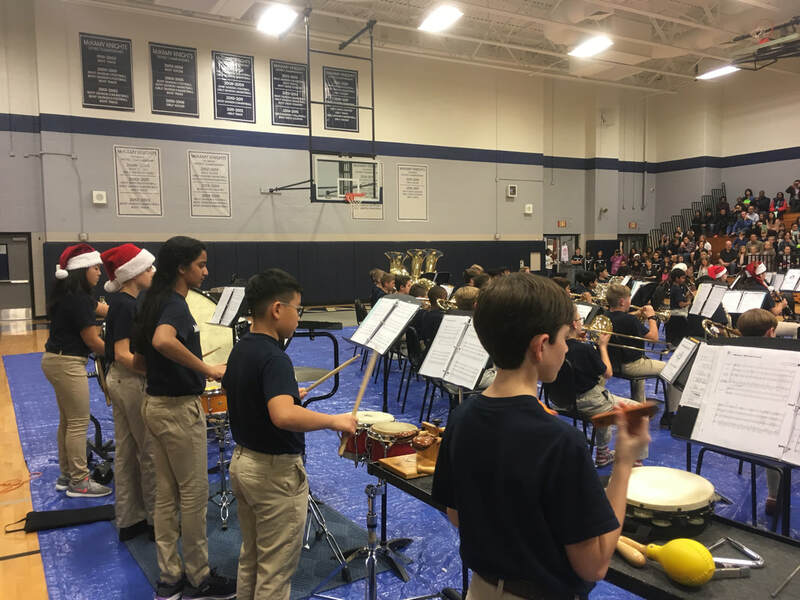 Private Lessons for percussion are strongly encouraged due to the nature of the instrument group and the amount of material that will be covered in class.